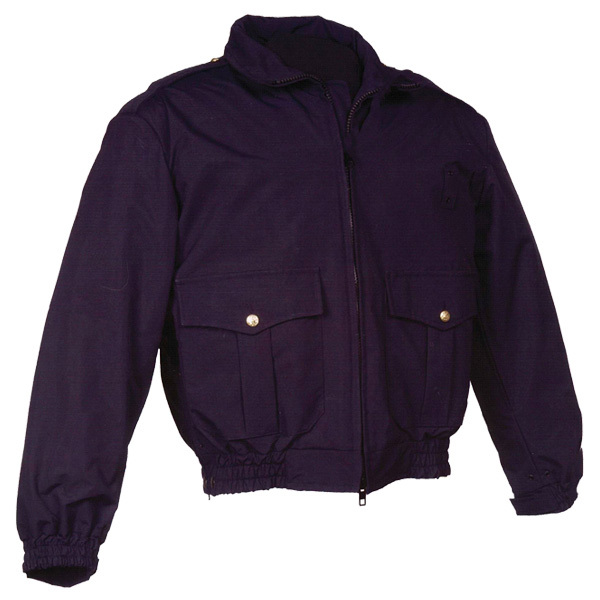 26″ waist length jacket with zipout liner. Shell 100% nylon 3ply Supplex outer shell treated with Teflon™ for soil release and water repellency. Permanent lining is waterproof, windproof and breathable. Thinsulate quilted zipout liner with knit cuffs. Heavy duyt two way front zipper. 10″ side zippers with snap tab closures. Flapped patch pockets with double entry and inverted pleats. Adjustable sleeve cuff with elastic secured by hook and loop fastener. Elasticized by-swing back and underarm gussets for freedom of movement. 2 Snaps wit tab on each sleeve to hold liner in place. Pit zippers on sleeves for access to outer shell.